Bryan Rafanelli’s exquisite sense of style, attention to detail and ability to transform clients’ visions into unforgettable celebrations has made him a go-to planner for the nation’s most exclusive and high-profile events. Bryan serves as Founder and chief creative officer of Rafanelli Events and is known for his customized approach to every project, paying careful attention to every detail to ensure each event is exceptional. 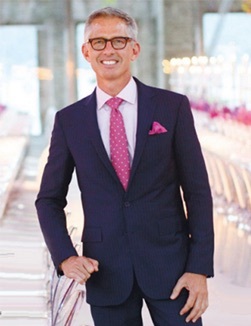 Frequently lauded by the media, Rafanelli was named one of the Top Wedding Planners in the U.S. by Harper’s Bazaar in 2016 and in Martha Stewart Weddings in 2015, one of the World’s Best Event Planners by Departures in 2014 and “Man of the Moment” by Town & Country. Rafanelli Events has been highlighted in The New York Times, The Wall Street Journal, The Washington Post, People, New York, CBSNews.com, VanityFair.com, NewYorker.com and more. Notably, Rafanelli and his team led the concept and design of Chelsea Clinton’s wedding, as well as Allison Williams’ nuptials, many of President Obama’s White House State Dinners and events, as well as the White House holiday décor in 2015 and 2016. Rafanelli grew up in a large Rhode Island family, his mother always finding reason to throw parties for the people she loved. “The sense of community and of bringing people together to have a good time just for ‘good time’s sake’ has always been inside me,” he says. He launched Rafanelli Events in 1996 as a three-person operation executing only a handful of events a year. Twenty years later, Rafanelli Events has produced more than 2,000 events with 15-15,000 attendees, in 50 cities and 9 countries.